In this short, entertaining sermon, Rev. Ike interprets the Bible story of Joseph and his brothers to teach an important lesson. In this Bible story, Joseph shared his dream of grandeur with his brothers and he paid a great price – his brothers became jealous, threw him into a pit and he was sold into slavery! Rev. Ike warns you NOT to share your dreams and desires with the wrong people, because there are some envious "dream-killers" who will discourage you – who will tell you that you CAN'T achieve the good that you desire! Rev. 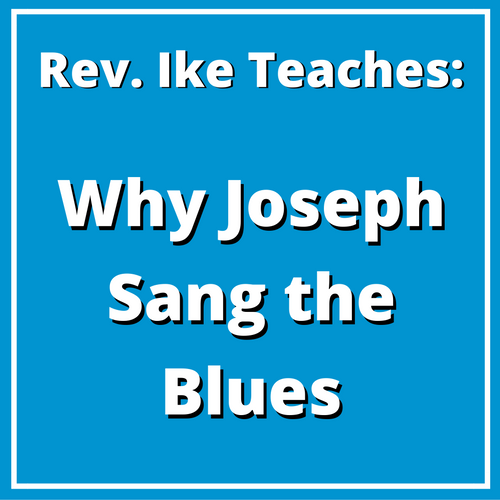 Ike talks and sings his way through this sermon, impressing you with the metaphysical meaning of this Bible story – that you must 'keep your mouth shut' about your dreams and ambitions until the time is right. He encourages you to 'stick with your dreams' and associate only with people who are supportive and encouraging and who are happy to see you successful and prosperous! This is a fun, motivational sermon that is packed with simple truths and lots of singing! We are offering this short MP3 (22-minutes long) at the special price of only $3.95!